This is a love story. Well, kind of a love story. Ok it’s not really a love story at all but it’s one of my favourite stories. It takes place in Western Australia in the 1970s, and it’s about two Aussie lads, Ed and Ted, and a young lady who was running for the title of the Miss Italy Quest. Ed was dating the almost future Miss Italy. Well this was in Bunbury, not the real Italy. Ed hadn’t even left Australia yet. And this was long before they had bikinis and talent shows and any of that. I’m pretty sure this competition was based on looks and personality, and oh wow, this Miss Italy had stacks of that. 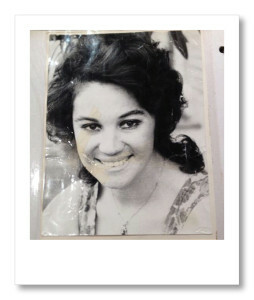 Miss Italy and her parents were holding a fundraiser-slash-BBQ at their house for her being in the competition, and Miss Italy had planned to be in Perth that day to fulfil some of her country’s duties, before returning back to Bunbury for the BBQ. Miss Italy had met Ted before and wasn’t very happy about him driving her – he’d been a little over-friendly in the past and seemed to be treating this car favour as some sort of date. But she had no choice – she couldn’t miss her very own fundraiser. Now, due to the lack of phones and Whatsapp back then, Ed knew none of the above. All he knew was that the lovely girl he was dating turned up in a car with some other guy from Perth. Uh huh. After a quick heated explanation all was well, but Ed still wasn’t very happy about this intrusive Mr Ted. “Oh yeah, it’s practically grape juice,” Ed agreed, while pouring Ted another glass and one for himself. Ed had drunk this stuff before and he knew it was certainly no grape juice, but there was no need for Ted to know that. So Ed took a seat next to Ted and they chatted a bit. A few minutes in and Ed knew he didn’t like this guy. 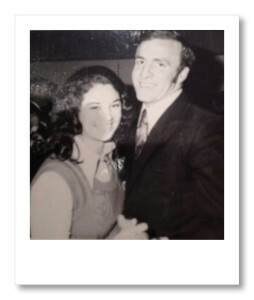 He’d started throwing around distasteful comments about Miss Italy, the love of Ed’s life. But Ed just smiled, clenched his tumbler instead of his fist and continued to cheers and chug away the red with Ted. He couldn’t make a scene, after all. Unbeknownst to Ted, however, while he chortled and threw his head back chugging more and more of the potent red, Ed was pouring every second one of his tumblers down the table leg. Ted was having such a grand time declaring his utter nonsense he didn’t notice a thing. A few hours later Ed poured yet another glass of strong red for Ted and made his excuse to leave and mingle. It wasn’t long before a now very drunk Ted stood up and stumbled a bit, and then stumbled some more, and then there was an almighty crash as he fell onto the table, up-ending the wine, the glasses and absolutely everything the little red-and-white checkered table cloth could carry. (kidding, like they’d have a red and white checked tablecloth sheesh). Ed came rushing to Ted’s aid along with everyone else. “Oh Ted! Ted! Oh geez are you ok?! What happened? !” Ted wasn’t making much sense, so with a bruised ego and head they carried him inside and put him into bed. Poor old Ted. He ended up having to stay the night he was in such a state and had to re-live all those red wine memories once again with the family the next morning – including Miss Italy and a slightly smug Ed. That was the last they ever saw of Mr Ted. 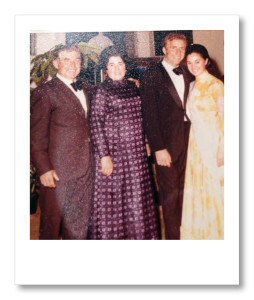 Miss Italy and Ed, on the other hand, soon after got married and had three children. Their third was a daughter – me. 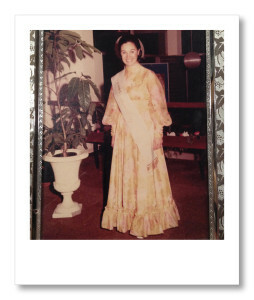 Photos of Mum in the Miss Italy Quest with her parents and my Dad – nawww.